Being an avid follower of all things food means I often find myself in random places, sometimes unpleasant places, but eating some proper lovely food. I’ve eaten the best roti London has to offer in a basement that needs a good Dettol in Euston and I’ve eaten lamb chops while watching the footie in Whitechapel; both of whom had less than lavish surroundings but bloody good food. 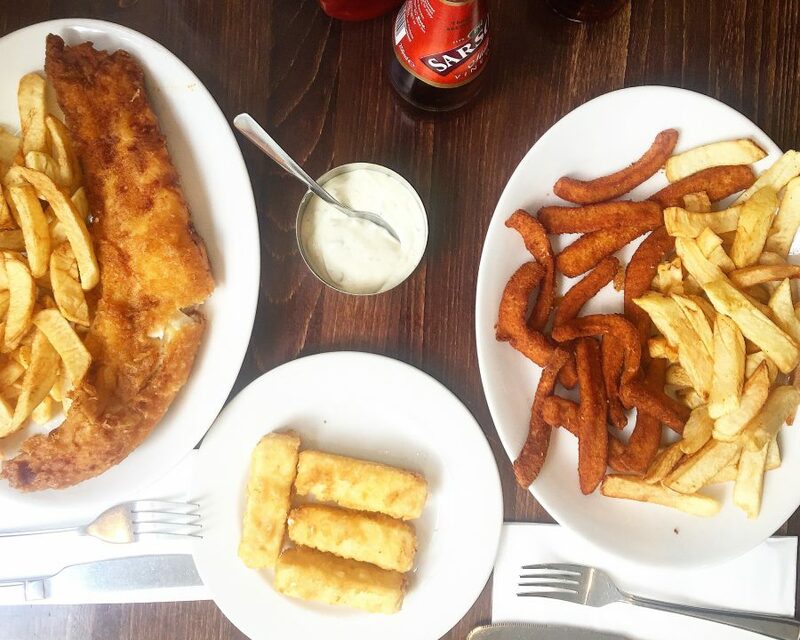 The Golden Hind in Marylebone is a fish and chip shop which has been around for over 100 years. Some might even call it an institution. The decor is plain, charmless in fact. We were seated in the second of two rooms beside some unpainted mdf nailed into the wall. The gents toilet had a urinal filled with newspaper complete with a sticker saying ‘not in use’. 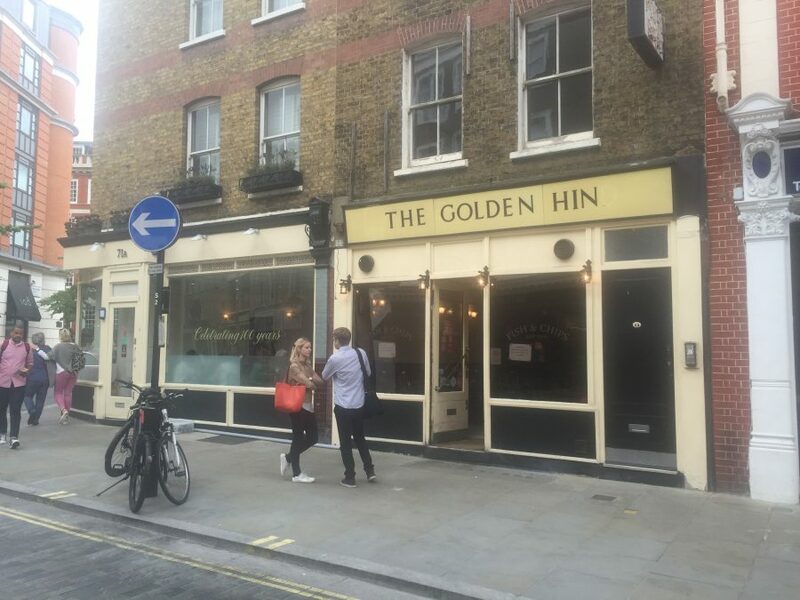 Even the sign outside says ‘The Golden Hin’. All this would be fine I guess if the food was any good. But it really wasn’t. Our large cod (£10.90) had an OK batter but the fish was dry, watery and void of any flavour whatsoever. Half the portion of chips (£2.30 extra) were actually raw, which is really off putting when you gobble your first mouthful. Calamari strips (£10.90) were also underdone meaning they were tough to bite through. Feta fritters (£3.95) seemed a random inclusion on the menu. The thick chunks of cheese were so strong they were enough to make a grown man wince. And to top it all off, the tartare sauce tasted simply of mayo. 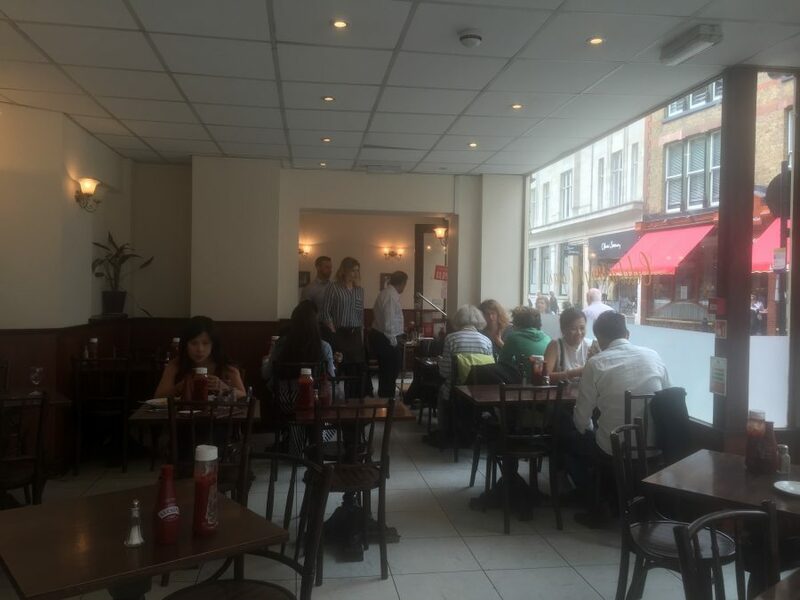 On their business cards it states “probably the finest fish and chips restaurant in London”. I imagine that was once the case but the Golden Hind felt like it needed some TLC. If you can’t even cook chips correctly then something isn’t right. But the place was absolutely packed, so what do I know.